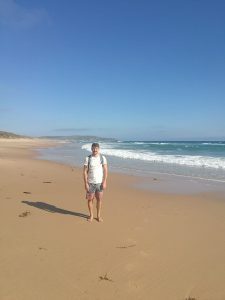 Jonas Möcking is a PhD student participating in the Bo&MeRanG project, a joint programme of the Universities Bonn and Melbourne. After two years of research in Prof Matthias Geyer’s Lab in Bonn working on the molecular basis of the inflammasome complex, he continues his studies in Melbourne with Prof Seth Masters. We accompany Jonas on his journey, which began on Wednesday, 28th February, and his impressions will be posted in real time on the blog. Especially at the beginning of his endeavours, we are aiming at short daily updates. We wish you an exciting and successful time Down Under, Jonas – good onya, mate! Jonas’ reports on his very first days in Melbourne you can find here! On Friday I joined the casual soccer game that some scientists from WEHI play regularly on the green right in front of the institute. It is fun to play and also a good way to meet more people. After taking a quick shower at home I go to a pub in Brunswick with a few colleagues. And apparently, there is a “Space Disco” themed house party to which we are going. Again, there are a lot of new people to meet and to talk to (so many names to remember). The music is good, the drinks are cold and there is loads of glitter. To cure the hangover, I join some of the Bo&MeRanG students at Port Melbourne Beach on Saturday afternoon. The cold sea is refreshing. We play some Frisbee in the water and enjoy the sun. I can highly recommend having a beach close to where you live! Later on, we head to the city again to celebrate St. Patrick’s Day in an Irish Pub. And then the second week is already over. 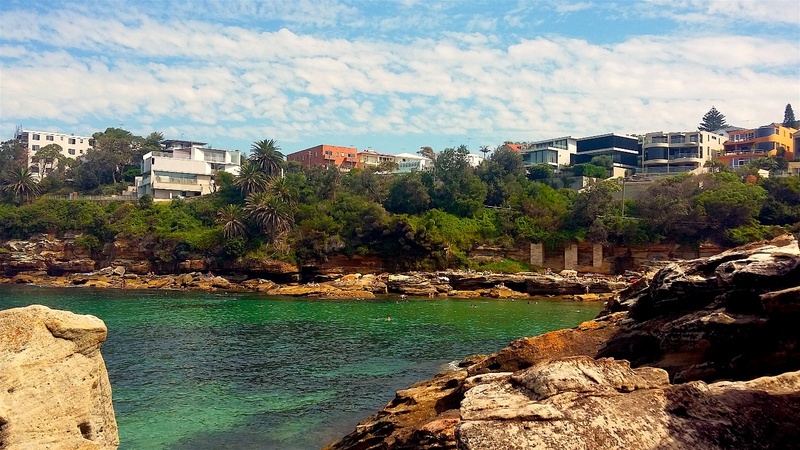 While my first two weeks were mainly focused on exploring Melbourne and WEHI, the following three weeks were more about familiarizing myself with the lab, where things are and how certain things work (To be honest, I am still asking around quite a lot. But I believe it is getting better each day and I am confident that I will be able to work completely independent before I come back to Germany again). I also spent some time to prepare a talk, which I gave in front of the Inflammation Division (Info for non-WEHI people: WEHI is organized as different divisions. One division is comprised of multiple labs, which generally have the same research interests and share the lab and office space). Apart from presenting the results from my time in Bonn I also talked about my plans at WEHI. The feedback was very good and now people within the Division know who I am and what I do. So, my daily routine is pretty much like that of other PhD students. Just that I travelled to the other end of the world to continue my PhD. And that definitely has some advantages. For example, you can fly to Sydney for Easter and it only takes you an hour on the plane to get there (as opposed to 24 h when you fly from Frankfurt). But actually, I went there to visit a friend over the Easter weekend. 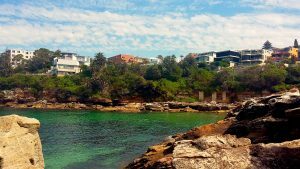 The weather was really nice and we visited some of my favorite places in Sydney, like the harbour with the iconic Harbour Bridge and the Opera House as well as Gordon’s Bay, where we went for a swim (see pictures). 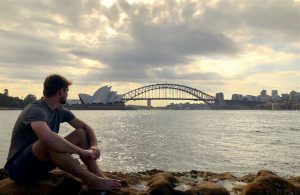 I had a great time in Sydney. Being able to explore another country while doing a PhD is definitely one of the perks of going overseas for your PhD – if you have enough free time of course. It has been two months since I arrived in Melbourne. By now, I have already developed some kind of daily routine, both inside and outside the lab. In the lab, I finally feel comfortable doing almost everything on my own, which also makes it easier to plan my weeks. But still, there is a lot to learn for me and I am trying to get as much out of my time at WEHI as possible. Generally, I can highly recommend to any PhD student to switch labs for a while and see something different. It forces you to get out of your comfort zone, which can be challenging. But it also prepares you in regard to what you can expect when you get a Postdoc position in a new lab. 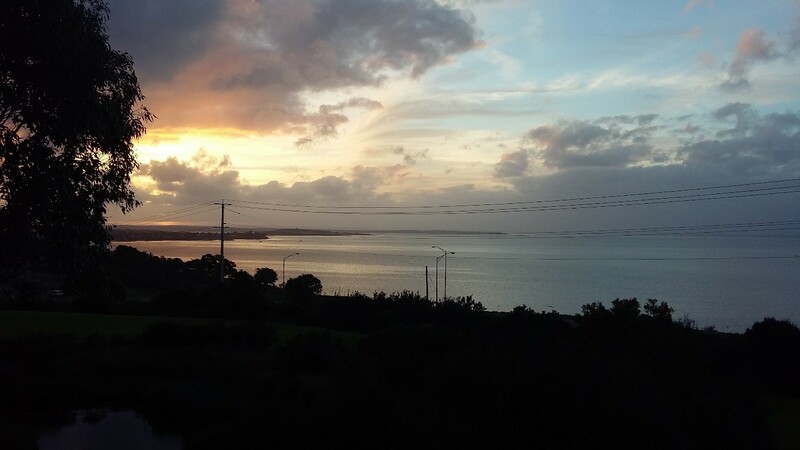 On Thursday morning two buses picked us up at WEHI and took us to a resort on Phillip Island. It was a perfect setting with a great view from the conference room. The morning session included two talks, one on mental health and another one on how to use social media for professional networking. Afterwards, we had a lunch break with delicious food, followed by two more interactive sessions. The first one gave an introduction to entrepreneurship. As part of this session we were asked to develop our own ideas in teams and then present them in a one minute pitch. During the second session, we were given the opportunity to ask current WEHI postdocs for career advice and how to best manage the PhD to Postdoc transition. And that was the professional part of the retreat. After two hours of free time we gathered in the conference room again for pre-dinner drinks. The theme or dress code for dinner was “something you wanted to be as a child.” There were a lot of really good and funny costumes (e.g. Ash Ketchum, Farmer, Old Lady etc.). In between courses there was a question and answer session with Doug, the director of WEHI. After dinner, we played a round of Trivia (which my group won, yay!) and then it was time to party. For Friday morning, even though many were still suffering from the night before, a few different fun activities were planned, including paintball, kayaking and surfing. I decided to do the surfing. And it turned out to be a good choice. We went to a small beach we had all to ourselves. The relatively cold water helped waking me up. And after a few first attempts I even managed to stand up for a bit. About three hours later we met with the other groups at San Remo park for some Fish and Chips for lunch and then got on our way back to WEHI. It was a really intense retreat, packed with interesting talks, many interesting conversations with new people, exciting activities and heaps of fun! A big “Thank you” again to the WESA (WEHI student association) people who organized the retreat! Wow, it’s been three and half months already! At the beginning, time seemed to go by really slowly. But now it feels like time is flying. The good thing is that I am making progress in my project. Combining structural approaches with cell biology is a great experience and it is really interesting to see how both can complement each other. To be able to do this, I collaborte a lot with other labs at WEHI. That way I get to know a lot of very friendly and helpful people. And of course, it gives me the opportunity to look into new aspects of NLRP1 activation from different angles. Another way to meet great people is sports. And there is a lot of sports going on at the moment at and around. Apart from the casual Friday soccer game, there is now an inter-institute soccer competition. It is good fun and also not too competitive, which I think is a good thing. Last week was particularly fun, because it was pouring down rain as we started playing. One could say it made the whole game a little bit more “refreshing”. But seriously, once we were drenched (which didn’t take long), it was actually a lot of fun to play in the rain. I also tried to take part in the footy (Australian rules football) training. The training is part of the preparation for an Institute tournament, where the WEHI team will play against teams from other institutes. So far, I only made it to one training session. It is a bit unusual for me, especially regarding the shape of the ball (being used to handball and soccer). But it’s a fun sport to play. And a fun sport to watch, too. To get some inspiration, we went to an AFL (Australian Football League) match at the MCG (Melbourne Cricket Ground) with some of the Bo&MeRanG PhDs. This stadium can fit about 100,000 people and is one of the biggest in the world (see picture). We watched the match Collingwood vs. Melbourne and were lucky enough to see a lot of good goals and tackles. But it also scared me a bit because AFL can be very rough as well. However, it didn’t scare me enough at all to not give it a try in the training and in the tournament. Living in Melbourne for quite some time now, I am starting to understand why people think of it as one of the most livable cities in the entire world. The people, the culture, the food, a seemingly countless number of restaurants and bars to try. So many things to see and do. Good thing I still have 9 months left to discover Melbourne and its surroundings. Exactly one year ago (March 5th 2018), I had my first day at WEHI. And I just cannot write about all the things that happened in that year. But there are a few experiences that stick out to me. Scientifically I feel like I have made good progress developing new skills and learning new techniques. Much more than I thought I would before I started my PhD. 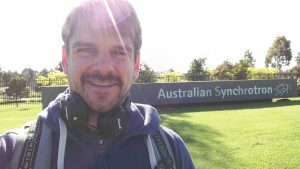 One of the highlights during my time in Melbourne was that I got to go to the Australian Synchrotron. I also got some interesting results in different parts of my project, which is really exciting. And I even had the opportunity to present these at a scientific conference in Perth (ASI 2018) as well as during our Bo&MeRanG retreat in Lorne and my completion seminar at WEHI about two weeks ago. All of them were great opportunities to communicate my research to a bigger audience and generally a valuable experience. 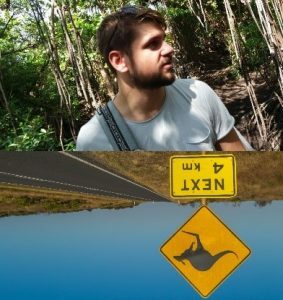 And they combined very well with exploring Australia a bit more, too. 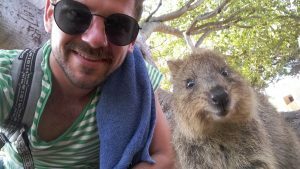 I got to see beautiful Rottnest Island and its Quokkas just off the coast from Perth. 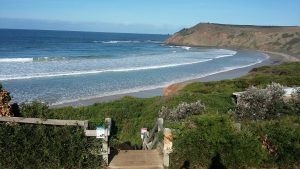 And I got to see Lorne, a seaside town on the great ocean road, and spend a good amount of time with the whole Bo&MeRanG family (read more here). During the Christmas break (and at 38°C, weird Christmas) and over one or two long weekends I also got to explore Melbourne and surroundings a bit more. 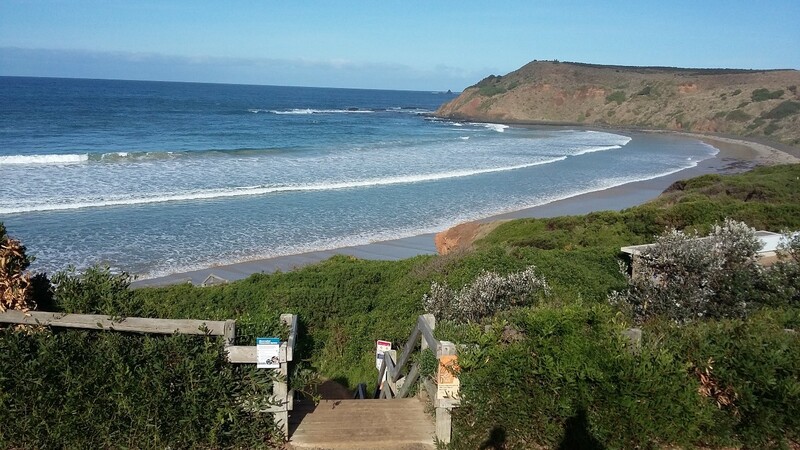 There are so many beautiful places here like Wilson’s Prom, Phillip Island or Cathedrale Ranges. Knowing now that I will go back in a few weeks’ time is an interesting mix of feelings. After spending an entire year living and working in Melbourne, it has become a bit of a second home to me. And as I mentioned in previous posts, Melbourne is a fantastic city. So, thinking of leaving soon does make me a bit sad. But at the same time, I am super excited to go back to Germany and see my family and friends and talk about everything that happened while I was in Australia. Thus, going back makes me both sad and happy at the same time – but I am definitely leaving with some amazing experiences that I will never forget.